I tell myself things; things that I believe make a difference to not only how I live but also why I live. Determining what I believe has been a motivation and a quest all rolled into one. I have built and lost small fortunes, I have re-created myself a number of times professionally and personally, I have climbed spiritual mountains and it seems I have walked a million miles in pilgrimage to discover myself and try to understand the meaning of life but also the meaning of me in life. I have discovered that a driving force in my life is to make a difference. And I have told myself many stories to make it so. I tell myself for instance, that I have a responsibility to be the best I can be. I came to this life, I thought, because I wanted to make a difference; a difference to myself, to others and indeed to the evolution of humanity. At least this seems to be a commonly accepted idea that that’s how it goes in the beginning – sometime before we have a brain and a physical body. I’m not convinced the soul thinks or plans or chooses as an individuated being but here I am none-the-less, sitting on planet Earth, at this point in history, with understanding of myself here and now, as well as in other past life experiences connected to this one, always thinking. There is an inherent quality within us that desperately wants this life we live to matter. We define it as “purpose”. We search for purpose and try to create it in our daily lives. All I know for sure is that this need to make a difference has driven me, as I know it has driven others. We seem compelled as individuals to believe that our lives matter, that the lives of our dearly departed also mattered to the grand scheme of things. As a collective we seem intent on aiding the conscious evolution of mankind. But I’m beginning to understand life differently; instead of me out there making a difference, I’m starting to think that maybe me in here is all the difference that is needed. My purpose isn’t something I have to do…it’s something I have to accept simply as already having happened just by the essential quality of me being. I AM and that is enough purpose. Over the years I have stumble on some profound realizations. For instance, purpose often seems to stay elusive. Fact is purpose is so intimately connected to our ego that it can be very hard to release our need to have a purpose. The search itself is illusory; there doesn’t seem to be an answer beyond the quest. The true purpose seems to just ‘be’. In the ‘being’ we are still committed to evolving all the same. Evolving in our being-ness. Humanity evolves when we individually come to fully accept our truest essential being. Purpose arises out of our authenticity. Purpose does not create authenticity. We are created out of a spiritual imperative to experience life. We are a fulcrum of energy that arises out of the breath of God itself, it instills in us in an embryological imperative in the very moment of conception and emerges throughout every possible expression we witness around us. Creation is a force of god consciousness, a sacred manifestation of attraction that is omniscient. A magnetic manifestation of organized energy that is naturally attractive to all symbiotic fields of energy. And within this natural expression of being that I am, I am compelled to create. It is essential to my purest being to create, procreate and re-create. By nature I am a uniquely created being. Even my DNA is unique, an original manifestation of natural expression. And I believe it is this creative force of nature that determines that it is my soul purpose to continue creating my life as consciously and as uniquely as possible. My human questing mind working in concert with my beating heart transmits my creative possibility into our joint future, as does yours, and so life evolves. A Reason for Everything…Let it Go! I talk a lot about letting go and people nod, nod, nod and then shake their heads in hopeless confusion. Let go how? of what? when? and why? It seems an impossible concept to grasp. “How can I let go? Doesn’t everything happen for a reason? What if I let go of the wrong thing?” It’s a conundrum. In a societal, cultural structure that has told us to achieve, acquire, collect and attain it is a challenging concept to wrap our noodles around. We’ve been taught to grab on to that brass ring and never let go. And we’ve learned well…we hold on to our hearts, our feelings, our thoughts and belief systems, our ways, and our stuff. 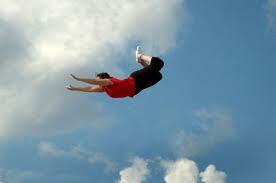 Unfortunately, holding on to things is contradictory to the process of life. Everything in our world is impermanent. Every thing will rot, it will decay, it will die or it will simply change. To make sense of our lives as they are we try to create meaning around our things, our belief systems, our habits and the happenings of our lives. 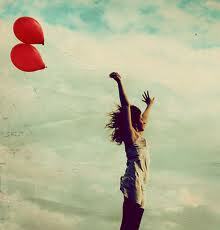 By creating reasons we give ourselves permission to hold on to things. On one hand we want to be free of the linear systems and on the other we try madly to recreate them forward. In one breath we try to be creative and open and in the next breath we are already trying to stuff everything into line where it makes sense. We are always trying to understand things from a meaningful point of view, from a reasonable perspective. Reason, after all, is what makes sense of this world and of us. Reasons assign the value of every thing and every happening. When tragic things happen we imploringly want to know why. Unfortunately in determining reasons we can often lose the magic of the moment. There have been many times in my life when I have congratulated myself on being even-tempered, non-emotional, logical and reasonable. I am often able to see both sides of a situation, and be very sympathetic to the other persons’ position. I have prided myself on having big shoulders and bearing the burden in a situation because it seems easier for me to carry the load than passing the responsibility on to the appropriate shoulders. My very clever mind has always been extraordinarily good at ‘understanding reasons’ and creating reasonable projections into the future. My very clever mind, however, has not always been very good at just being with what was without reasons. I am learning. I am finding it’s enough to just be. I am discovering that often when we jump on the reason train we escape a situation before we’ve had time to really feel it out. We use reasons to blame, to find fault, to create acceptance, to excuse behaviour and to create purpose. Can you accept your life and all the pieces in it without having a reason for them? Does that sound unreasonable to you? Can you accept a blessing without asking why or what for? Can you be present to another’s unbearable pain without trying to find a silver lining reason or purpose for it? These reason-making exercises are just occupations of a clever mind. Let go the need to explain, the need to project, the need to plan, the need to understand, or the need to know. Believe me life goes on without having reasons. Fact is there may never be known reasons for everything no matter what my mind likes to think. We live in a cause and effect reality. Everything that happens stems from something. In this dualistic reality we can expect this to be the way it’s going to keep playing out. So we can effectively look behind us and see how things led to this moment but we have to be very careful how we extrapolate the present moment in to the future. Equations that cause effects that look like reasons don’t necessarily belong projected into the future. Sometimes it is simply more prudent to take the mind off the job and let the heart guide the way. Let go your reasons and have a little faith! When we search for and create reasons for events or situations we limit outcomes. We dictate a flow of energy that makes sense to our own minds for our own purposes. By determining a possibility we limit its’ whole expression. The value of any moment is to be with it in the moment as fully and as emotionally as possible. The heart will authentically guide us toward our next moment. We may be able to come up with reasons to create the next step but this is unnecessary. When we breathe in and out we don’t think of when the next breath will come, we don’t think how to take the next breath, we usually simply allow it to arise when it needs to. When the body needs to breathe it will. The naturally ever balancing aspect of our bodies and of our universe is to accept the moment fully as it is, feel the most personal relevancy in the moment and allow the next moment to swell up automatically without dictation or direction. Have faith that it will. The Heart that is connected to all the rhythm and synchronicity of the universe will in fact guide us perfectly. There have been many times in my life when I have mollified myself by saying that everything happens for a reason. In hindsight I realize that most of these ‘reasons’ were simply excuses to avoid looking at the real issue, or to avoid doing what actually needed doing or even to avoid just sitting still. Sometimes we inadvertently build convoluted rational mazes just to keep ourselves from making the appropriate intuitive choice. I have a couple of friends right now that are suffering in their need to take the next step yet are unable to figure out how, where or why. They are looking for reasons, for explanations and for purpose. So focused are they on there being a reason for their discomfort that they are unable to see that they are creating the bulk of their discomfort simply by not moving with the natural ‘swelling’ of the next moment. Their pain is caused by trying to validate their past experience as a reason for something else, they cling desperately to the past hoping for a different outcome. Move On ! Let It Go! So when I say let go I mean let go of your logic, let go of your reason making, let go of your need to understand why, let go of your mind needing to figure it out. When people experience emptiness in their lives, they struggle to fill it with something that made them feel good in the past. The approval from others, the love from others, recognition in success, or some other kind of validation. Leave all these things in the past, leave them in their time, let go and move forward. Allow the magical unknown nature of our Universe to blow a new possibility into your reality. Realize that you are pulling a sled of used up experiences with you that make no sense in the future. Let the new moment be fresh, filled with new life force. Let it swell up inside you with the next breath. It will. January is all about the growing light. It makes us feel like doing more, taking charge, and making changes. Creating a fresh new start in life is like cleaning up your house. It’s time to clear out, dust off, and sort through the junk we’ve accumulated over the past year or so. Being unable to manifest new starts in life is largely governed by how much stuff we hold on to and allow to take up essential living space. The longer this stuff that we believe in sits undisturbed the more dead space we create in our lives. Clutter takes up valuable living space and energy. It’s time to revive the vitality in your home, body and soul. We start by cleaning the windows so the light can get in. Our intention is to create a greater bond, a soulful connection to the light, inside to outside. Our truest expression is only possible when we are able to access our creativity. When we fall into habits of mundane routine we aren’t giving our truest nature permission to be, and when we aren’t expressing it we are depressing it. Any depression is rooted in a perceived inability to express our truest light and nature for all the world to see. Creativity sits at the most elemental aspect of ourselves as physical human beings. It is our innate nature to want to procreate, recreate, and be creative. Every cell in our body is designed to recreate itself with purpose and clarity. As time goes by however, we add layers and layers of dust and grime that only taint the beauty of the thing within and prevents its’ light from shining outward. Just as we have to clean the windows of our house, we should regularly try to clean the windows of our soul. I’m referring to the windows of our chakra system which allow us to engage with the energy of the world. Both sides of the windows have to be cleaned, leaving either side dirty leaves them hard to see through. Inside grime relates to our attachments to the things we believe in and covet, outside grime to the belief systems of others that we don’t necessarily adopt but entertain all the same. 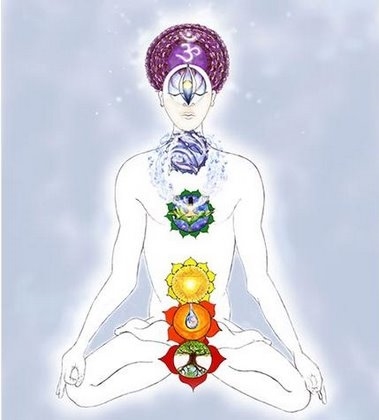 Each chakra pertains to specific aspects of creativity and thus your manifestation. To clean the windows of the chakra system you need only to honestly awaken to the film that covers them. Your ability to connect with the life force of the universe is inherent, it is only your belief in the limitations that inhibits you from living a self actualized creative life. Remember yourself to be a sacred divine expression of light. As light you are limitless and free to learn, share, love, heal, grow and nurture as you please. 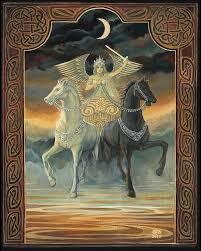 As a sacred being of light you deserve being worthy of your own love and praise, reverence and respect. 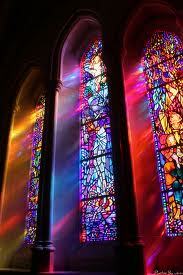 See yourself as a beautiful stained glass window worthy of your awe, for you are awesome, in design and beauty. When the light of the universe can shine through you to others, without the distortion of faulty belief systems you will be able to inspire and support the glorious revelation of others through your own clarity of divine purpose. Genuine acknowledgment and acceptance of yourself as a divine expression of purpose will automatically begin the cleaning process. In the light of truth the distortions have no place. Breathe gently, deeply and fully. Listen, observe and witness the voices, the messages, and the belief systems you privately hold. In relationship with each chakra ask yourself what inhibits your right to create yourself fully and freely from that chakra’s perspective. As the stories are told and are accepted as true the light will shine brighter and brighter. Hold faith in your soul’s inherent right for expression. Be patient and kind with yourself; your soul’s purpose will stay hidden until you are willing to protect its’ right to shine brightly. Whenever I start talking about environmental sustainability I have found that many people immediately hit the immensity of the problem with their smallness. We hate feeling small and ineffectual. When we feel we can’t make a difference we tend to avoid the issue. We turn back to our moderate lifestyles and try not to be part of the problem. We might not actively be part of the solution but we try to minimize our role in creating more problems. At least for a time, eventually old habits slip back in. Unfortunately, once we know something we can’t un-know it. We can try to forget it, stuff our new knowledge back into the furthest darkest corners of our consciousness, drowned it in consumer based habits, or turn to other indulgences. It seems that people hate rocking boats and that they resist any change that may upset their comfy cozy existence. This may be true on some obvious superficial level but underneath I choose to hopefully believe that people are boggled over the immensity of their problems and a pervasive societal based low self-esteem prevents them from believing that they can do anything worthwhile anyway so why bother. We need to ‘bother’ because tiny drops create giant ripples! I live in a beautiful little town in south-eastern Ontario. Our town is divided by a notable water canal system and there is a pretty bridge with iron railings, ornate lamp posts, we have a ban on pesticide and herbicide use, tons of green space and trees, we even have a white gazebos in the park where we have local musicians perform every Wednesday. Many of our stores have window boxes, there are flowering hanging baskets, even trees have been planted down the main streets. You see the pride of the residents and store owners as you drive through town. People are generally friendly and courteous when you meet on the street. We have had a couple of homeless people here – we knew them by name. Sounds very Norman Rockwall-ish doesn’t it? And sure we have crap, every community does, we just don’t seem to spread it around. It is strikingly orderly and clean here. We have the same community resource as other towns, but we also have another secret asset that perhaps other towns don’t have. Over the years that I’ve lived here we have had 3 individuals that walk with garbage bags. You’ll see them if you get up early enough. They walk the streets and pick up litter. They are self-appointed volunteers that have taken it upon themselves to keep our town tidy. I’m not talking about big garbage, I’m talking about cigarette butts, gum wrappers, occasional coffee cups and water bottles, stray scrap paper and plastic that blew out of the garbage truck. Stuff that you would never even notice as you drove through town. But you notice the effect of their blessed work. They don’t do this for praise, they do it because they care. This summer, if you were paying attention you would have noticed a small little miracle happen. We have in our town a character who would customarily hang around the main intersections of town (we have 3 with lights) day after day, staggering around with obviously too much alcohol in his system and seemingly no other direction or purpose for his life. He would try to stay out of people’s way and was fairly quiet but still, as you came in over the bridge you would notice this fellow invariably staggering about, holding himself up on building or railings, or slouched over in the park in a stupor. It seems though that one day early this spring he must have noticed the other gentleman who walked the streets around the canal with his recyclable bag and garbage picker-upper-thingy because ‘our character’ started walking with him. For a few days they walked together, you never saw them talk much, but what do I know, they may have been solving all the problems of the world. Then one day ‘our character’ brought along a white pail and walked down the other side of the street. Together these two have been wandering around town now all spring and summer tidying up. If he drinks anymore, he does it privately, and I never see him just hanging around anymore, he walks with purpose, interest and liveliness, head held high. The miracle part is that a small (perhaps even huge) though clear expansion of personal self-esteem happened through the tiniest measure of service to a greater whole. In service to our community, in picking up tiny scraps of garbage he found a purpose and ‘our character’ found – maybe re-found – his truest character. I appreciate him for his effort. I am grateful for his daily routine. I hope it continues to satisfy him for the good of us all and if it doesn’t I hope he finds something else that nurtures his self-esteem and makes him feel his worthiness. He has made me more self-aware! I am grateful for that too. There is nothing that can take away from a soul that feels dedicated and worthy in his purpose no matter how insignificant it may initially seem to be. When we have found a way to serve others we establish value, self-esteem and purpose. 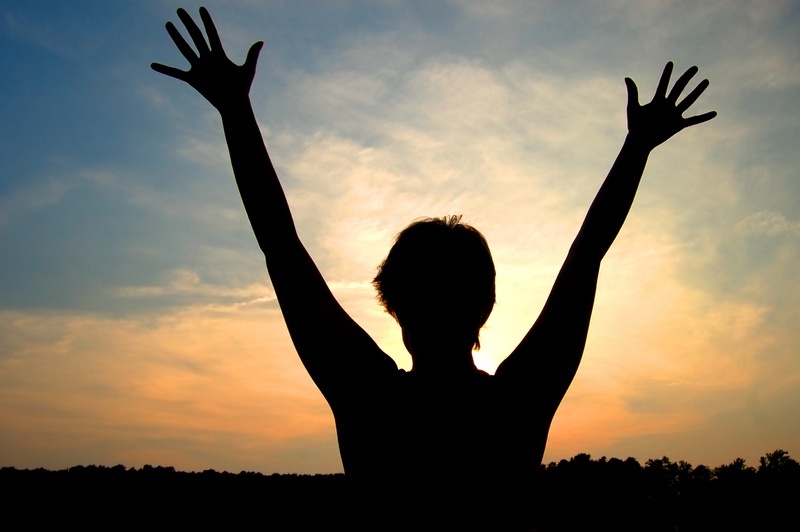 When we find our own value, self-esteem and purpose we feel empowered. In that empowerment we know that even the tiniest actions can make huge differences to the whole. In empowerment we know when to join others for greater and greater effect. All of a sudden we stop being small. The ripple effect is incredible. Mind you if you do anything for praise and accolades of approval I fear you will be sorely disappointed. If your motivation comes from outside approval you will stay forever vulnerable to the loss of it. You will exhaust yourself trying to maintain it and you will not feel the intense satisfaction of knowing your own true ego less value. I’ve been accused of not giving enough praise, of not satisfying others ego with effusive approval. It’s true. It’s not my way. It’s not that I don’t appreciate talent, excellence and effort, I sure do, it’s that I’m very aware that talent, excellence and effort has to be self-generating. I don’t want anyone seeking my approval to do anything. I want them to do their thing for themselves not me. Empowerment must come from within. Empowerment comes from knowing your self-worth and being able to make choices that benefit yourself, your loved ones and your community just because your know in your heart it is the right thing to do. There comes a time when we have to make changes. I know making changes is difficult. It is the human way to become attached – to everything. But as we learn, as we grow, it is important to portray ourselves on the outside in ways that reflect the changes we are going through on the inside. My friends and clients that have known me for many years of my business journey tease me about the way my business image keeps changing every few years. It’s true…at least on the surface. Changing is what my business is all about. Whether it’s with the Reiki, the Metaphysics Workshops, the Living Well Seminars, or my articles, it’s all about helping people stimulate, create, and maintain the changes they want to manifest in their lives. Likewise for myself. We’re all looking for happiness and peace of mind. What that means is different for each one of us. How that looks on the outside may be different but in the end we all want the same things; we want to be heard, we want to matter, and we want to be accepted. These elements are the root of all the changes we ever try to implement in our lives. They are the essence of all that it means to be human. It is perhaps even the common purpose that binds us and in the same moment propels the evolution of humanity forward. Gregg Braden identified the three common fears of mankind to be i) a fear of surrender, ii) a fear of loss of self-worth, and iii) a fear of abandonment. We spend our lives doing what we need to do to try to overcome these fears. We strive to leave a mark in this world that survives our death. Change is an interesting illusion of our minds. I’m not sure that we ever really change in our core. I believe we are what we are. I also believe that we don’t always know what we are and can spend a lifetime trying to find out. We can get so side tracked in life that we can head off on a path at a very early age that can leave us lost for a long time. To make sense out of a life we feel disconnected from we buy into and build up all the trappings that make us appear to be solid citizens. Eventually that solid looking box begins to crack and disintegrate leaving us confused, angry and afraid if we continue trying to hold on to it. Everything in our world is impermanent. Everything material and physical changes. Our physical body will also change and die. But spirit lives on. I’m not talking about reincarnation here. I’m talking about the spirit of humanity, the spirit of the Divine Principle, the spirit of God. Our essential purpose is to live that spirit as fully as possible within the expression we are. And so we change, everyday, trying to be more fully what we are. As the days go by we either choose to do things differently, letting go of everything that no longer fits or we choose to hold on tighter, trying to create a reality that would fool the best of them. It is the heart that will guide you towards the changes you want, and your mind will decide if you do or don’t. If there is disharmony between the heart and mind you will stay locked in a battle that will seep toxicity into all areas of your life. Change doesn’t have to be cruel or harsh. If we decide to make changes freely and easily, consulting with our heart and mind, we can make smaller, incremental changes that reflect our truth, stimulate our passion and empower our presence in the world. 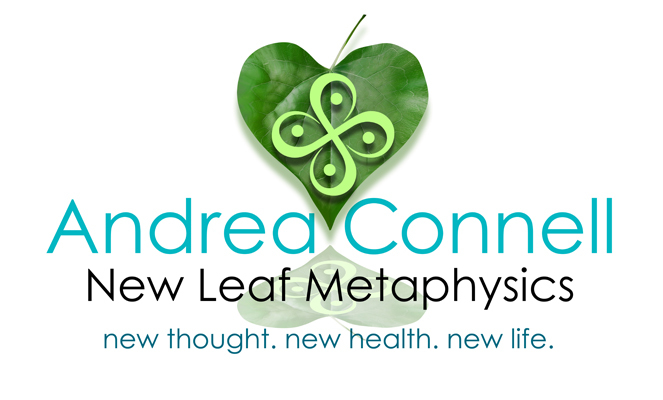 My new business logo and image are reflective of a new lighter, brighter sense of myself and my work. The truth is I’m all about growth, all about change, all about turning a New Leaf! More than anything though I am committed to doing what I have to do to build a harmonious relationship between my heart and my mind so all of me can go peacefully in one direction.